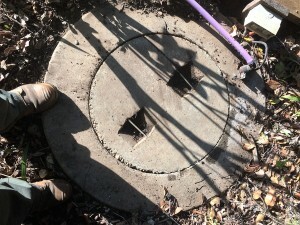 A standard domestic septic tank is concrete and approximately 1.3 metres in diameter across the top. It has one larger lid in the middle and two smaller inspection hatches opposite each other near the edges. You may have one, two or three of these. 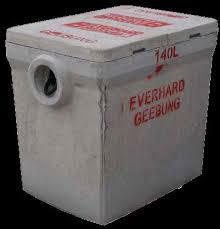 You may also have an older style oblong septic tank with square or oblong lid(s). Larger tanks are not uncommon. A standard grey water tank has a concrete lid approximately 1 metre in diameter with a central lid and a sullage hose exiting the top to one side. Other variations include polypropylene tanks above or in ground, the best identifier being the pump-out hose coming from the tank. 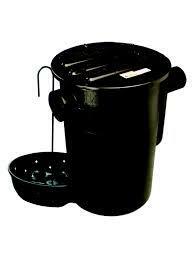 There are three main types of grease trap, circular black polypropylene, circular concrete, or rectangular concrete. 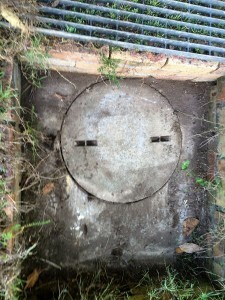 Grease traps are most often found near the kitchen but may be under tiles, under verandas, in garden beds or under grass. 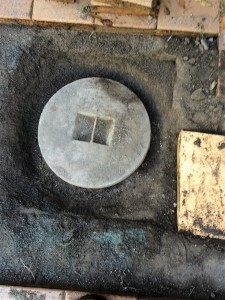 Occasionally a grease trap may be under a secondary lid with a layer of sand on top to prevent odours.